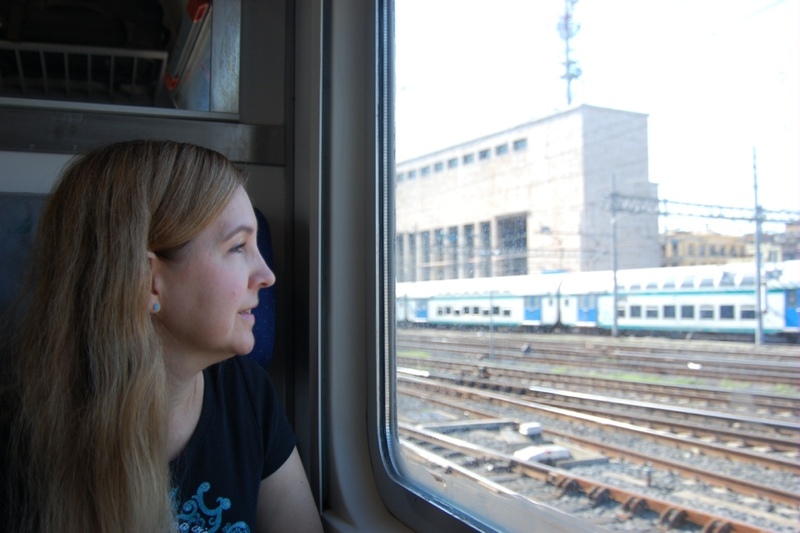 In September 2012, my mom and I set off to Italy for a yoga retreat. 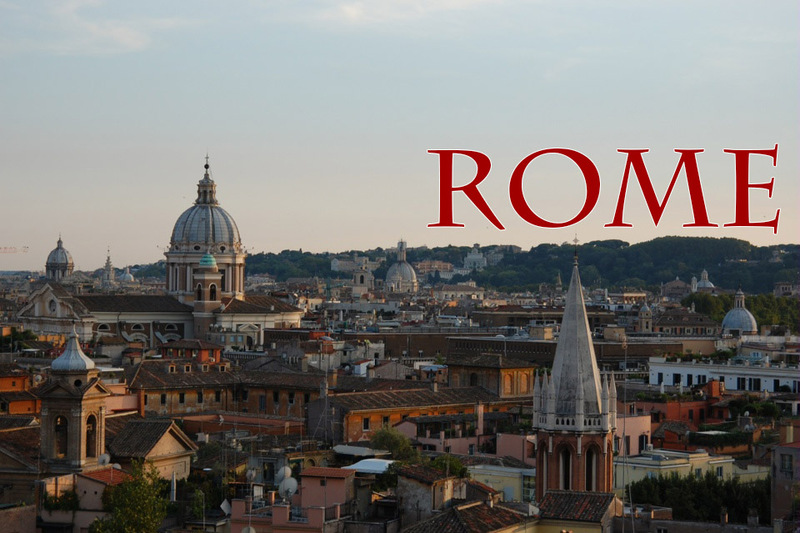 We landed in Rome and spent a few days seeing the sights, starting with the Colosseum, Circus Maximus, the Knights of Malta keyhole, and an orange grove with a view of the city. On the flight from Seattle, I re-read the Italy section of Eat, Pray, Love, and in it, Elizabeth Gilbert writes about her favorite fountain in Rome. I wondered if we’d see it while we were there, but since I didn’t know where it was or how to find it or if it even had a name, I figured probably not. We stopped for a break from wandering around the villa (admittedly, we were lost) and I found a spot in the shade to sit and rest. Guess what was right in front of the bench?! 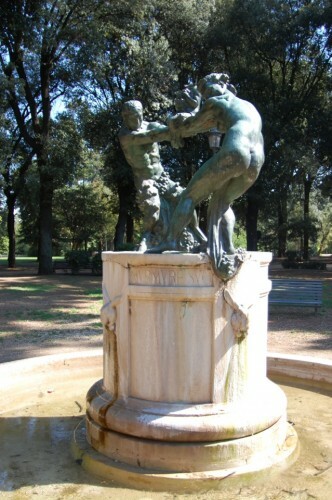 The fountain mentioned in Eat, Pray, Love. On our last day in Rome, we went to Il Vittoriano and the Vatican. We made sure to climb the 300+ stairs to the top of Il Vittoriano, and the 600+ stairs to the top of the cuppola in St. Peter’s Basilica. And, of course, we made sure to see the Sistine Chapel. 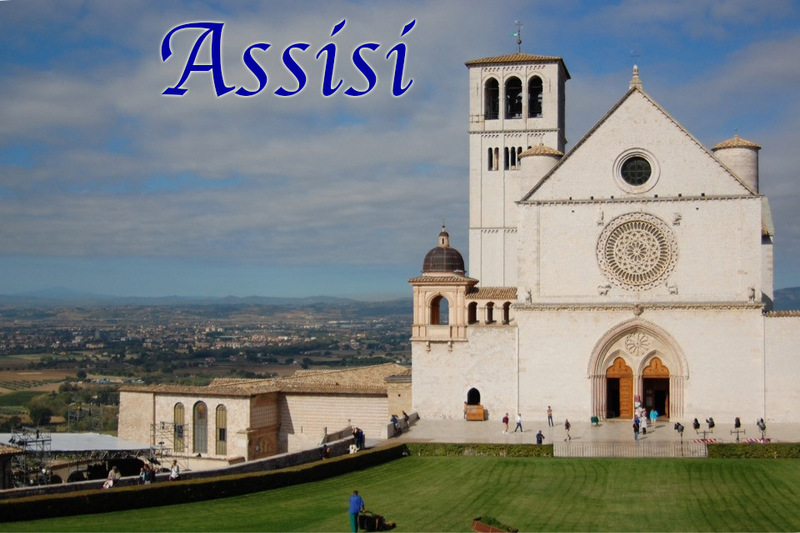 Then, we were off to Assisi! Assisi is a small tourist-y town in the Umbrian region, where we spent a week seeing the churches made famous by Saint Francis and Saint Claire. As St. Francis is the patron saint of animals, we saw cats, dogs, birds, even donkeys everywhere we went. 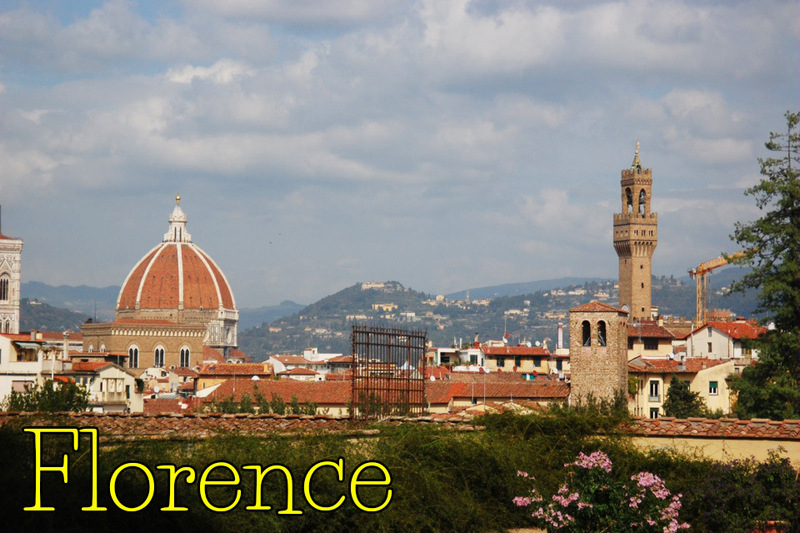 The last stop on our trip was Florence. 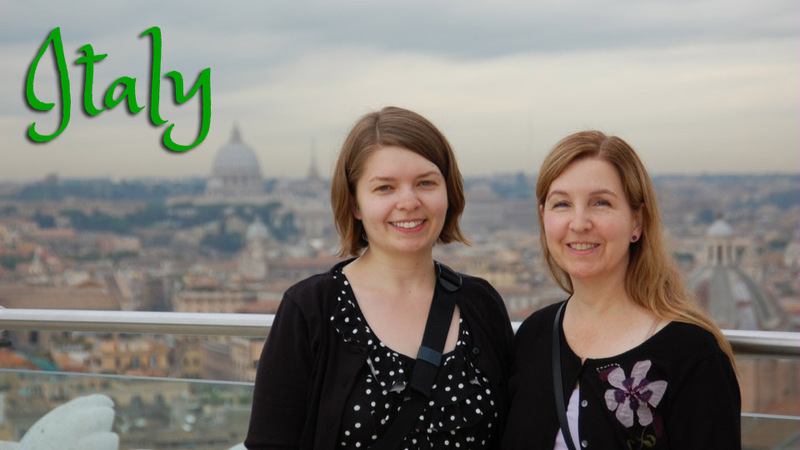 We spent only one day there – which was unfortunate because we both loved the city, and also most of the museums we hoped to visit were closed due to a staff strike! Instead, we climbed to the top of Il Duomo and the clock tower (about 500 stairs each), and then visited the Palazzo Pitti.